Cameron Diaz: Shining What? I Just Thought It Was Cute. Cameron Diaz, like the vast majority of morons donning Che t-shirts, has no idea what she is doing. In the picture below is Ms. Diaz wearing a bag emblazoned with the slogan “Serve the People.” This was a political slogan of the murderous leader Mao Zedong. This was understandably upsetting to the people of Cuzco, Peru as Shining Path was responsible for of some 70,000 deaths in the 1980s. Shining Path was inspired by Mao’s Cultural Revolution in China. Camron Diaz, like the vast majority of morons donning Che t-shirts, has no idea what she is doing. One would hope. 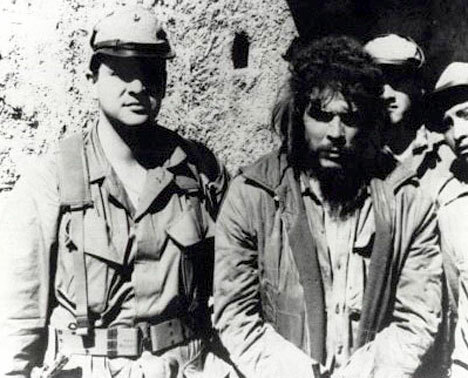 Ernesto Guevera was the commander of a prison in Cuba, where he presided over the show trials and executions of former members of the Batista government. It is therefore quite fitting that he was executed in a schoolhouse in Bolivia. 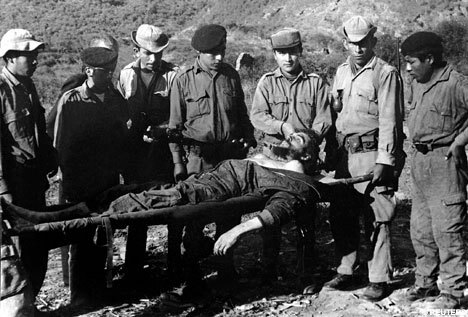 Prior to this demise, Guevera held a number of other high-level posts in in Castro’s government. 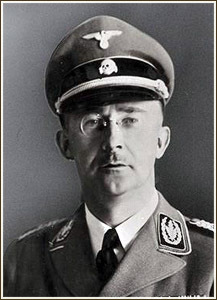 What about Himmler? He was in charge of Nazi prison system, why not a t-shirt for him? Himmler, Goring, Goebbels, where all revolutionaries that engaged in murder just like Che. Himmler even has a better mustache and better hair than Che. P.S. This does not constitute an endorsement of an official yojoe Himmler t-shirt. The point is, we should not celebrate any of these people.